The classes back at the hotel were great! I always enjoy them and some, even if I have seen them beofre, like Dave's basic ghost hunting 101 type of class, I still laugh so hard as he is a very witty man! I hope to showcase a few different people and groups that I have met and shining a light on some of the more interesting aspects of them that I have learned from various events. 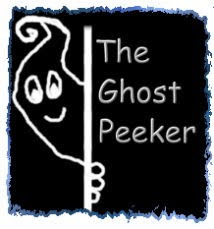 As I had the second night of ghost hunting, I got to hear from the first group of some of their experiences and hearing of it all, I always seem to want to kick myself for not having chosen that particular night or, to have the money to go twice! The only bad thing about these events however, is the number of people who attend. Again, what I had learned from the first time out at the Stanley Hotel, is that a lot of recordings for EVPs you have to toss out because you just can't be sure of the contamination from other outside influences or inside with the other people. You do get split up into smaller groups of say 20-25 people from the 100 or so that start off with for the night and then sometimes your 20 will get halved again from there, sometimes not. It can be frustrating but the main thing you are doing during these trips is getting to observe how the other people ghost hunt and what their favorite equipment is, how they use it and how they prefer to go about a paranormal investigation. You can learn a great deal that way if you keep it in mind and take it back for your own investigations. The first group reported rocks being thrown at them and various other things, EVPs here or there, shadow people. You were moved from floor to floor every 60 minutes and got to work with a different set of people each time. For me, I started on the 2nd floor and went up then down in the building. Zak and Aaron were there on the 2nd floor and it was the first time that I was able to ghost hunt with them. Aaron went out to the balcony with another person as Zak and the rest of us walked down the hallway. He had everyone hold tight and stay back as he went further down the hall alone and away from us. I didn't hang back with the others, but instead, followed him with a bit of a distance away. While walking down the hall, I saw a white figure or shadow flit across the hall from left to right just in front of Zak and I. It was very wild! Zak asked questions and it seemed we picked up on a woman. He was able to get an EVP as he quickly played it back many times for everyone to hear. He was having a hard time hearing it himself at first but after several tries, he was able to catch it. I did not pick up anything on my recorder but I picked up as I have picked up a new headset recently, I'll be going back to listen again to be sure.